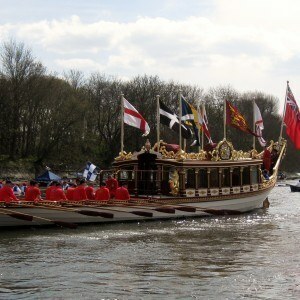 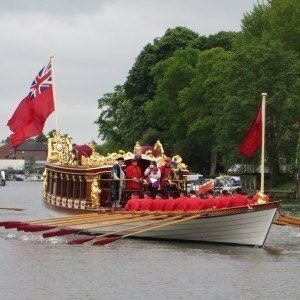 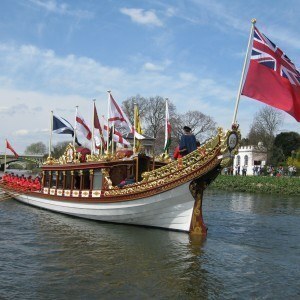 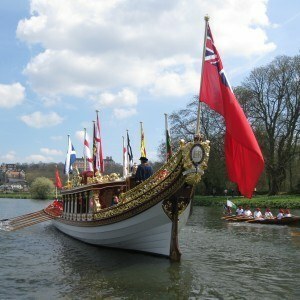 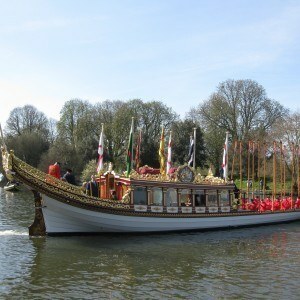 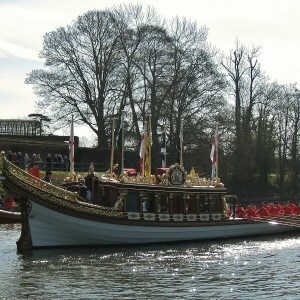 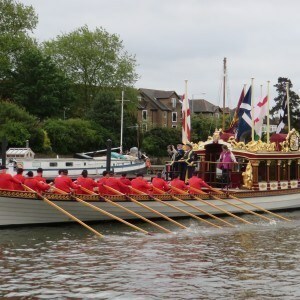 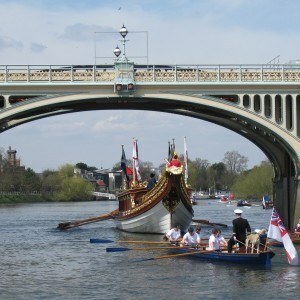 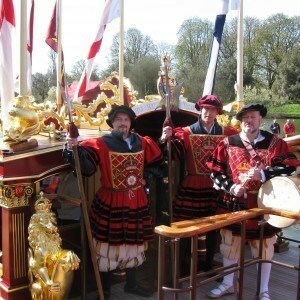 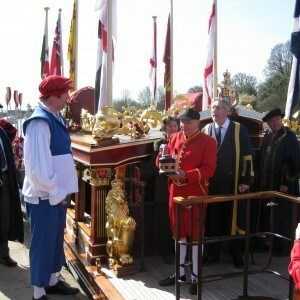 Gloriana takes part in the annual Tudor Pull from Hampton Court to HM Tower of London with HM Barge Master and a crew of Watermen from the Watermen & Lightermen Company. 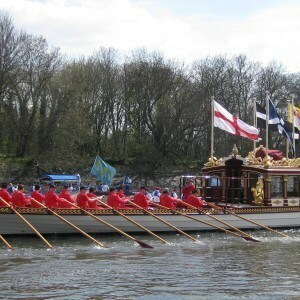 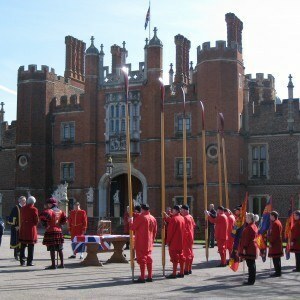 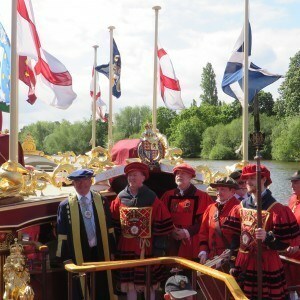 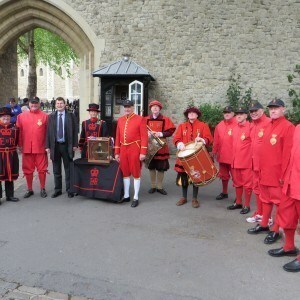 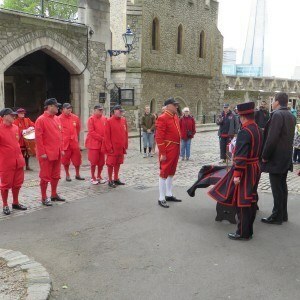 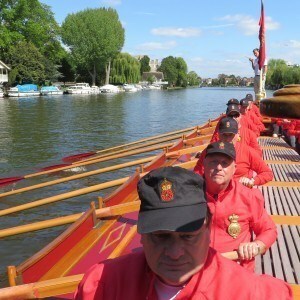 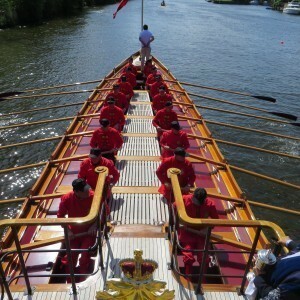 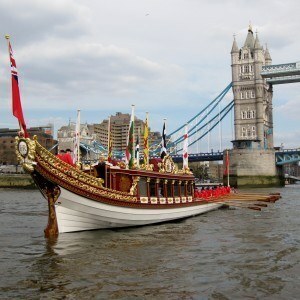 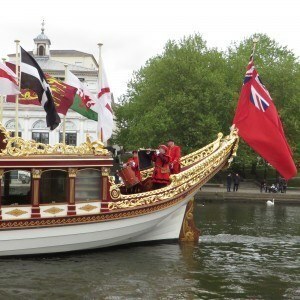 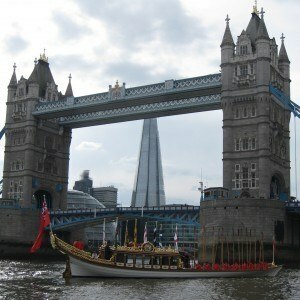 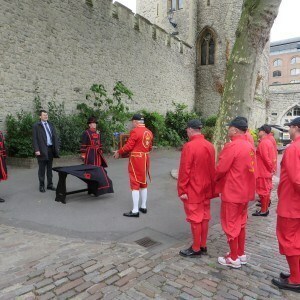 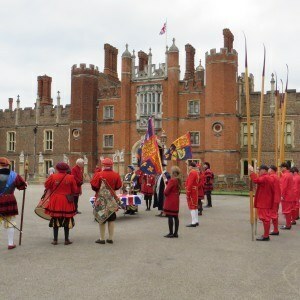 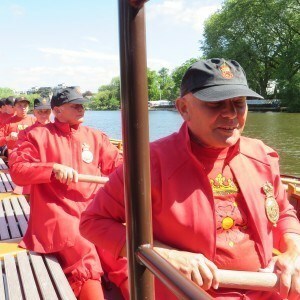 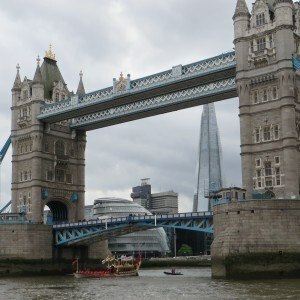 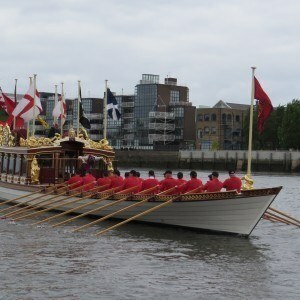 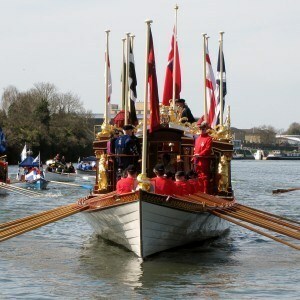 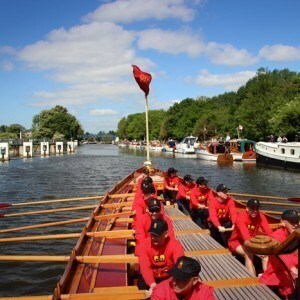 The event is to transport the ‘Stela’, a slice of ancient wooden water pipe, which is handed in to the charge of HM Barge Master by the Governor of Hampton Court Palace to be carried under oars to the Tower of London and presented to the Duty Governor watched over by the Yeoman Warders. 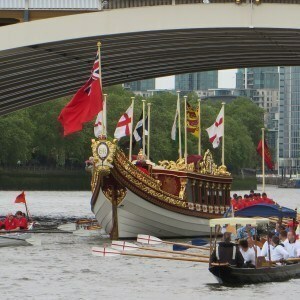 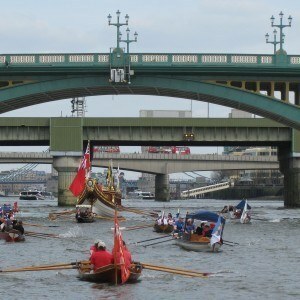 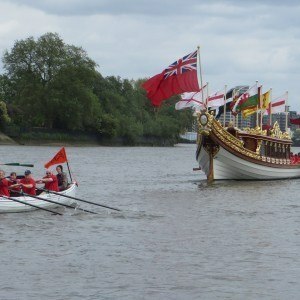 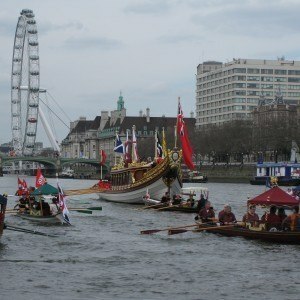 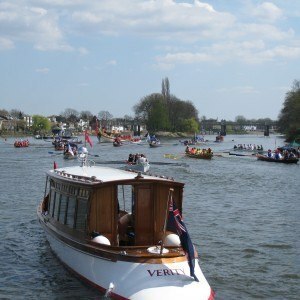 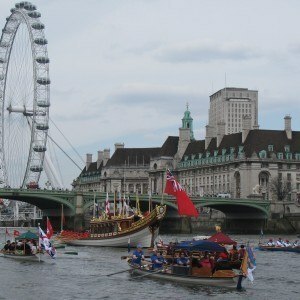 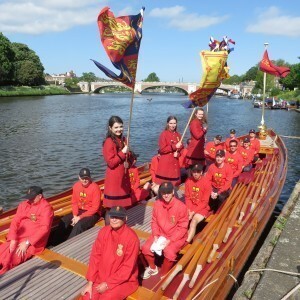 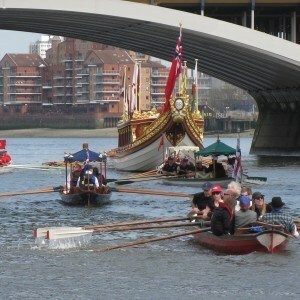 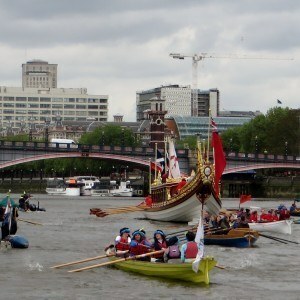 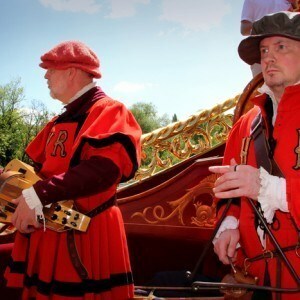 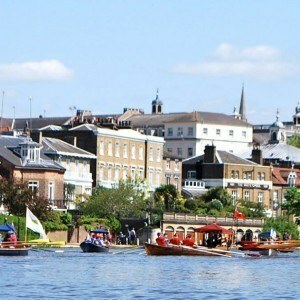 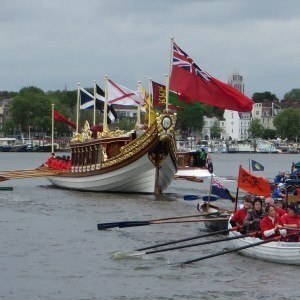 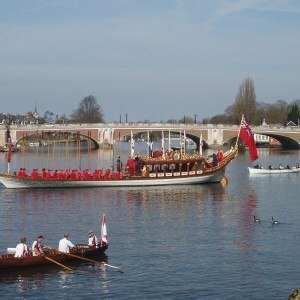 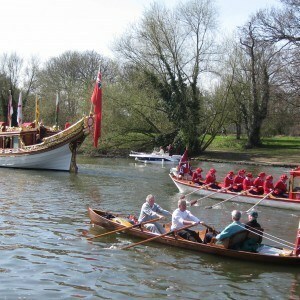 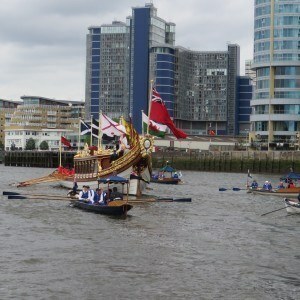 More information about the Tudor Pull is available from the Thames Traditional Rowing Association, who organise the event and the PLA website.